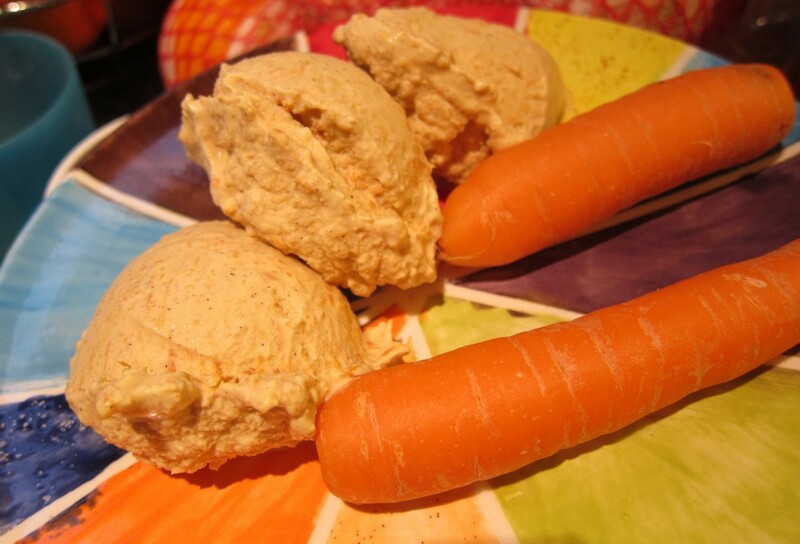 Or should we perhaps say “Carrot ice cream”? You see, no actual “cake” is required for making this rather original ice cream – only some fresh carrots and the right spices! The final, inviting ice cream flavour is, however, unmistakably carrot cake! 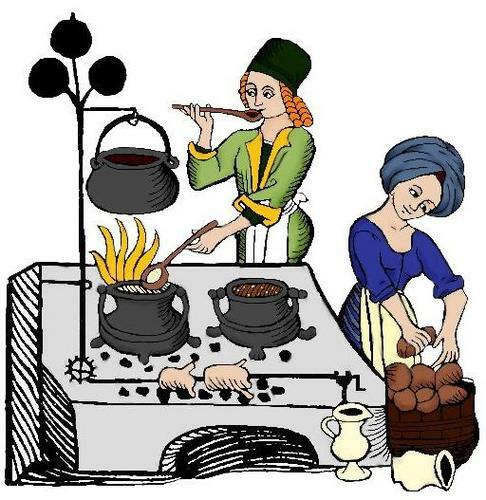 And if you like carrot cake, did you know that you are part of a tradition that actually goes back at least to Medieval times? Read on! Carrots count as one of the sweeter vegetables, and using them as food sweeteners is a tradition that – at least in Europe – goes back at least to Medieval times. 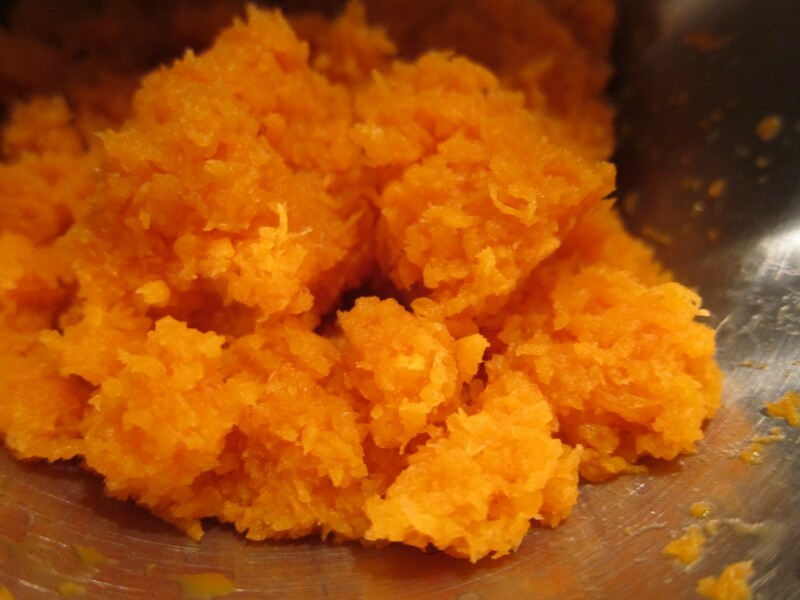 The orange colour comes from Beta-carotene, which we usefully can transform into vitamin A (by eating the carrots). Since carrots also contain a lot of fibres, antioxidants and minerals, there seems to be several good reasons to include them in your diet. 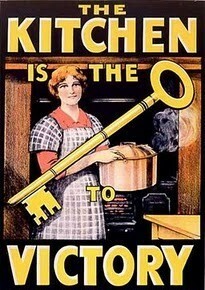 With sugar being rationed, the UK Ministry for Food encouraged the use of carrots as sweeteners during the World Wars. Even though using carrots as sweeteners is historically well-known, the more modern promotion and popularity of carrot cakes has mainly been attributed to sugar-scarcity during the two World Wars. With white sugar being rationed in the UK, alternative sweeteners were officially promoted. This, along with the recipes distributed, lead to a revival for carrots-as-sweeteners. The distributed recipes must have been good, because carrot cakes hung on after the wars. The now-so-common cream cheese frosting on carrot cakes became popular as late as in the 60’s. And up to these last decades, carrot cakes have continued to enjoy a special reputation for being (relatively) “healthy” cakes (containing, as they do, carrots, brown sugar, and sometimes chopped nuts …) – a claim that may be more or less true, depending on the specific recipe used. 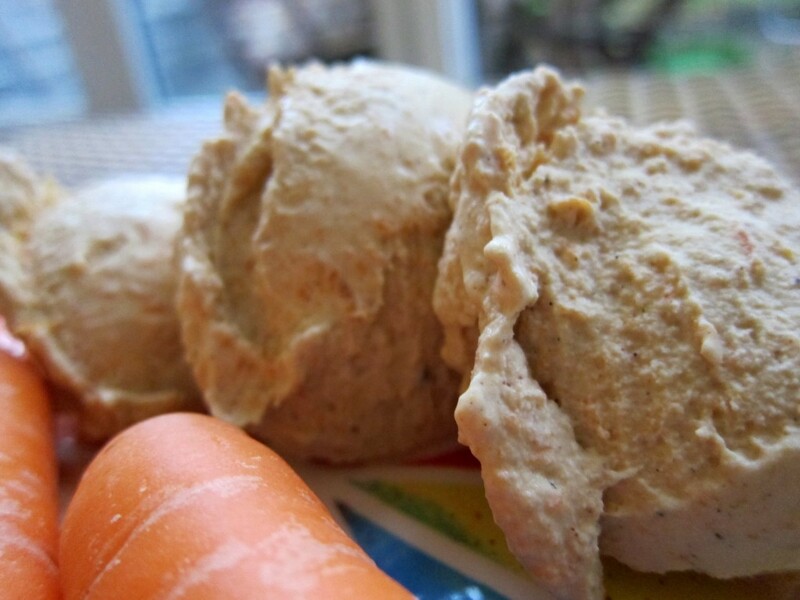 So, if carrots can be used as sweeteners and even star in a cake – why not use them in ice cream? Sure, like with any cake, you could make carrot cake ice cream by simply putting some crumbled carrot cake in an ice cream base. But I wanted to actually use real carrots directly! Looking for inspiration, I stumbled on a recipe by Molly Moon Neitzel which I have adapted here. 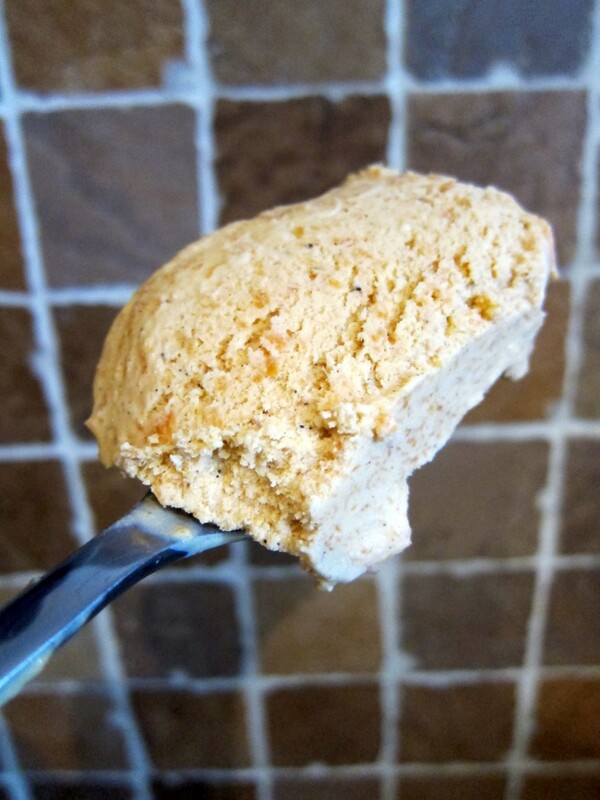 The recipe set out to do exactly what I wished to test – making carrot cake ice cream without using any actual ‘cake’ (this is, in itself, not so strange – take a look at my recipe for gingerbread ice cream here, which does not require any gingerbread cookies but only the right spices). So, what kind of ice cream is this? Forced to choose one broad category, I guess it could qualify as an American, Philadelphia-style recipe (mainly because it contains no eggs). However, unlike many American style-ice creams, you would have to heat and cook (most of ) the ice cream base for a while, even though there is no custard in the making. So do some planning ahead – this is not your typical “ready in half an hour”-Philadelphia style recipe. 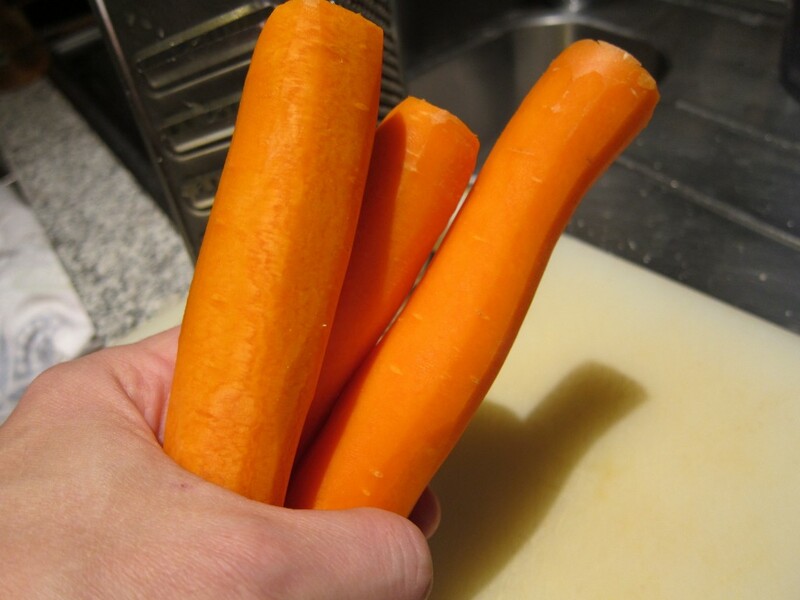 The first step – grab some fresh, healthy carrots and grate them! It is quite important that you grate the carrots rather finely – after all, all the grated pieces will end up as integral parts of the final ice cream. But do not worry about the grated carrot ending up as icy, deep-frozen shards either: By the time the base is being frozen, the grated carrot has been thoroughly steeped in the rest of the base (consisting mainly of cream, milk, sugar and spices), and is well prepared for its role as prime ice cream ingredient. Looking at the ice cream base at this stage, one might be excused for wondering how on earth this ice cream is going to work out, with all those pieces of carrot so prominently noticeable … the spicy smell, however, is already encouragingly delicious! And in any case, any possible worries should be laid to rest once you are able to test the final ice cream! Eating the ice cream right after churning, when it still is rather soft, is really nice. 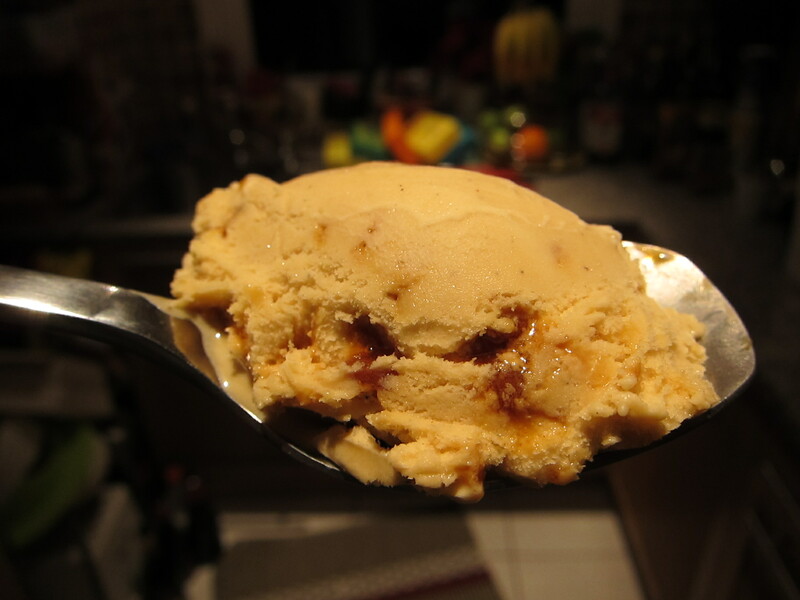 But even after many hours in the freezer, the carrot ice cream will remain tasty and readily scoopable. The carrot cake ice cream (or carrot ice cream, if you will) really exceeded my expectations! While the ice cream base might seem to be somewhat oddly structured, the final result was genuinely that of true, delicious carrot-cake! I must also admit that enjoying this ice cream almost automatically gives you a positive feeling of being (relatively) “healthy” – I mean, how many other ice creams contain such a huge amount of a guaranteed healthy ingredient;-) ? And as for the serving, the inherent sweetness of the carrots does seem to contribute: even when well frozen, the ice cream continued to be readily scoopable. So, join in the time-honoured traditions and let the carrots into your ice cream! And who knows … perhaps it even might improve your night vision? Put the cream, 150 ml (about 0.6 cup) of the milk, the sugar (including the inverted sugar, if using), salt, carrots, cinnamon, nutmeg and cloves together in a saucepan. Cook uncovered over medium heat, stirring every now and then, until the sugar has dissolved (should go really quickly). Bring to a boil, then reduce to low heat and let simmer for 20 minutes, stirring frequently. In a separate bowl, whisk together the cream cheese and the vanilla until smooth. Gradually add the remaining 50 ml (about 0.2 cup) milk - 1 tablespoon at the time - whisking vigorously in between these tablespoon-additions, until smooth. 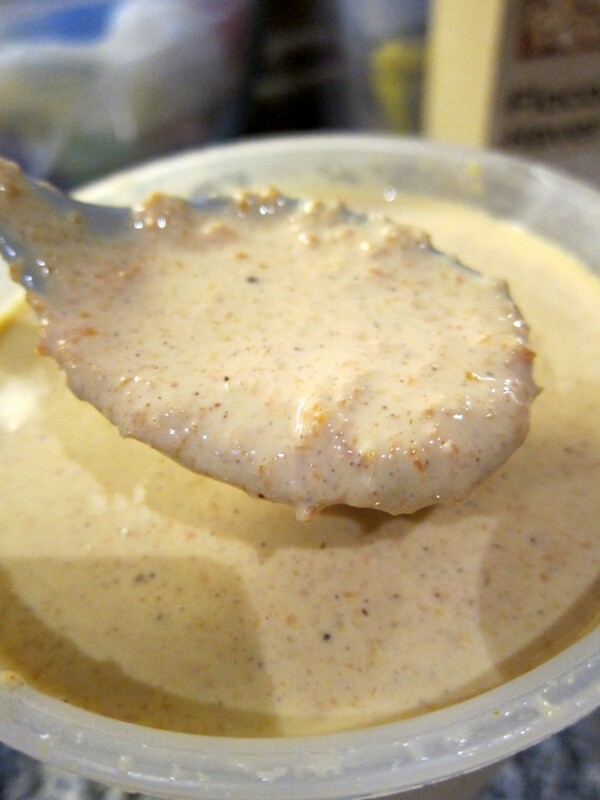 Pour the cream cheese/milk mixture into the carrot mixture and whisk until all is thoroughly combined. Place the resulting mixture to chill in the refrigerator for a couple of hours. 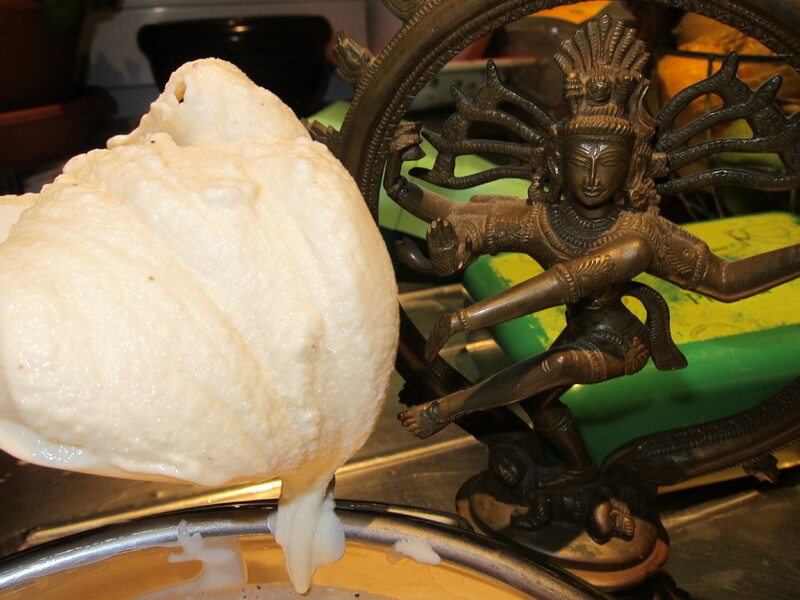 Churn the chilled ice cream base in your ice cream machine according to instructions, or still-freeze the base in your freezer (see the post on that). Pour the ice cream in a freezer-safe container, cover with plastic film and a lid and store in the freezer.